As the current Medical Director at UPMC Hamot in Pennsylvania, Dr. Ferdinando Mirarchi brings to the American Health Council 20 years within the healthcare industry. His expertise in General Emergency Medicine, Patient Safety Research related to End-of-life Care, Quality and Safety Research, Living Wills, DNR, and POLST has earned him recognition for exceptional American healthcare. Graduating with his BS in 1992 from Temple University, Dr. Mirarchi later went on to obtain his degree in Medicine from Western University of Health Sciences in 1997. He has completed an internship at Metro Health Center in 1998 as well as an Emergency Medicine Residency from Allegheny General Hospital in 2001. Dr. Mirarchi’s daily responsibilities at UPMC Hamot include safety research of living wills, advanced directives, POLST and DNR’s. As Director of The Emergency Medicine Department, Dr. Mirarchi also oversees Physician Management, Strategic Planning & Development, creating Throughput Metrics, creating state of the art treatment systems, and creating policies and procedures to facilitate patient care and outcomes. Dr. Mirarchi is also the Co-Founder of the Emergency Medicine Residency Training Program at UPMC Hamot. Among his numerous accomplishments in his career, Dr. Mirarchi is proud to have served as a consultant for Emedicine.com. He has also been published nationally and internationally concerning Emergency Medicine, and has been published both nationally and internationally in USA Today, The New York Times, The Wall Street Journal, Associated Press, and ABC News. He has also authored Understanding Your Living Will; What You Need to Know before a Medical Emergency, published by Addicus Books. 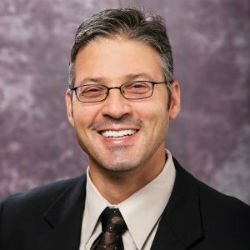 Dr. Mirarchi serves as the Principal Investigator of the TRIAD Research (The Realistic Interpretation of Advance Directives) Series. He has also created a myriad of educational modules to help ensure the Quality of Advance Care planning discussions and document completion. Professionally, Dr. Mirarchi is associated with the American College of Emergency Physicians and the American Academy of Emergency Medicine. His goals for the next five years include to further transform his Emergency Departments to function better as a whole by creating state of the art treatment systems. He further intends to redefine Advance Care End of Life Planning to clarify Emergency & Critical Advance Care Planning vs End of Life Planning with use of patient to clinician video as he is the founder of MIDEO™ (My Informed Decision on VidEO). To facilitate this national and global change he has founded the Institute on HealthCare Directives and is the Chief Medical & Scientific Officer. Apart from his career, Dr. Mirarchi enjoys spending time with family, and playing baseball and basketball during his spare time. UPMC Hamot is a medical system that reaches out to more than 1 million people in northwestern Pennsylvania. western New York and eastern Ohio. Supported by a medical staff of more than 300 active members and nearly 3,000 dedicated employees, UPMC Hamot’s mission is to serve its patients, communities, and one another in the UPMC Hamot tradition of quality, health, healing, and education.